In this work Venetian Light, we see a colorful scene of Venice with its homes on the water. We see bright orange colored walls, with contrasting blue shutters. The water reflects the colors as a gondola and its riders are sailing by. Venice is a city made of hundreds of islands interconnected, and life on the water is filled with centuries of tradition. 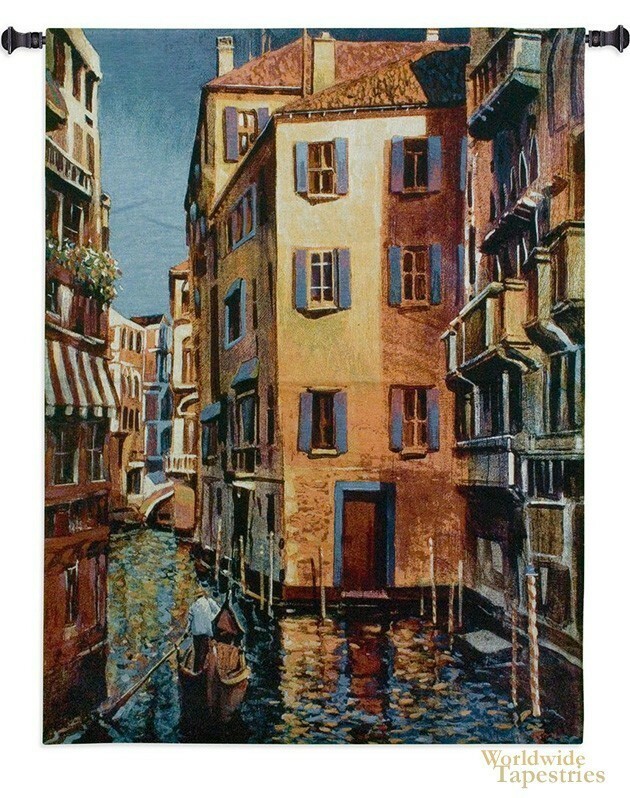 This Venetian Light tapestry is backed with lining and tunnel for easy hanging. Note: tapestry rod and tassels, where pictured, are not included in the price.